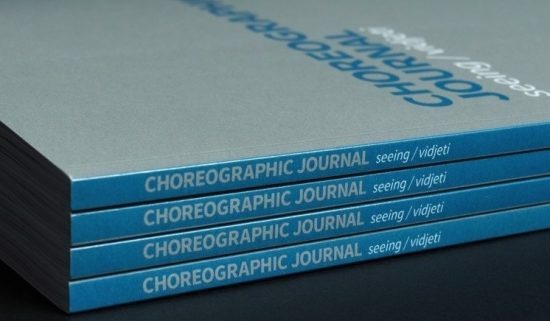 Newly published in August 2018, CHOREOGRAPHIC JOURNAL: seeing / vidjeti, by choreographer Marjana Krajač and dramaturg Zee Hartmann will be presented at the Norwegian Theatre Academy at Østfold University in Fredrikstad, on September 11th starting at 18:00 h.
CHOREOGRAPHIC JOURNAL: seeing / vidjeti is a collection of essays about the artistic process, its reflections and subsequent communications. This publication aims to open up spaces for possible thinking about dance and performance in its wider scope as an assortment of different phenomena that, in its totality, are constituting choreographic work and its various fields of significance. The presentation will include a talk about the processes of choreographic activation within the broader perspective of site-specific and performative gestures, linking the notions of metaphorical inner and outer spaces.